Cebek CD-41 module is a BCD display module with outputs to drive Cebek BCD display modules. The input is displayed on the 4-digit 7-segment display and decoded BCD outputs appear at the rear connections. After these connections, on the Latch input, (multiplexed), each time you place one of these inputs on the positive, the BCD value registered at the input will be displayed on the corresponding display. Therefore, you could direct the BCD input to the display (or displays) that you wish.. 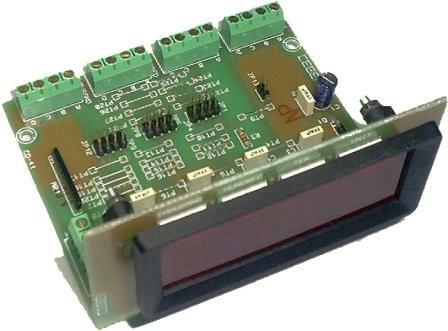 The CD-41 accept the control from the CD-14, CD-16 and CD-17 modules.